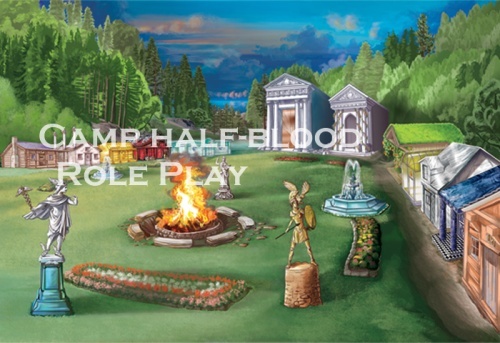 the next thing you know you are out side a rock"Okay wait I need you to show me this camp half blood place".OOC we should make another topic to move this to because we are now not in the underworld! *some random ghosts start thanking you*Ciara omg thank you do much for getting her to leave! Yeah, she was so terrifying and man it hurt so much when those arrows passed through my body the times it did! She pinned me to the wall you are on RIGHT NOW! omg she left me there for a day! *snaps fingers* Leave. *starts chanting* αφήστε τους νεκρούς γεύση και πάλι! *spirits start appearing* *Eyes light up* Phoebe!?! Is... Is that you? Ciara: SHE KILLED YOU! I need to know how to put an end to Hera's reign! Ciara: But you want your death to be in vain?!? Phoebe: No! I just want peace. For you, for me, for Hera, for everybody. You need peace. Ciara: *stomps foot* I need that selfish goddess queen in Tartarus, that's what I need! Ciara: But what? I've only felt pain since you died. Is that what you want? Phoebe: You don't understand! you're not mad at Hera. You're mad at me. For leaving, for dying, for leaving you alone. For that I am truly sorry. before pheobe could respond there was a rumble and a dirt clod fell on her ghostly spirit which made her go away! before she rippled away she said these last words! HAVE PEACE CIARA! CHILD! COME IF YOU WISH TO SEE YOUR FRIEND! SHE WAS MORE THAN A FRIEND!!! SHE WAS MY SISTER!!! *gets up and wipes off tear* What do you want? If you cared about me you would bring my twin sister back! She was your daughter too! THAT! I can NOT do! Oh, yeah? Is that so, Mr. King of the Dead? I can not do that it is FORBIDDEN! If it was not forbidden do you think she would still BE DEAD! Yes, because you are a fat, lazy, stupid, kidnapping loser! you came to ME FOR HELP I TRY AND THIS IS HOW YOU REPAY ME! DON'T TEST ME! I will NOT LISTEN TO YOUR CRAP! If you WANT to talk to PHEOBE COME NOW! IF you do NOT come now I will STOP LISTENING TO YOU YOUR CHOICE! I can not bring pheobe back BECAUSE IT IS NOT IN MY POWER SHE CAN LEAVE AND BE IN THE ACTUAL WORLD BUT SHE WILL STILL BE A GHOST AND SHE CHOSE NOT TO DO THAT! OOC: I really do not think you can teleport maybe like go away really dast but not teleport! OOC: Hey, she's Ciara, and she's in the Underworld, which is pretty much where she's in her prime.